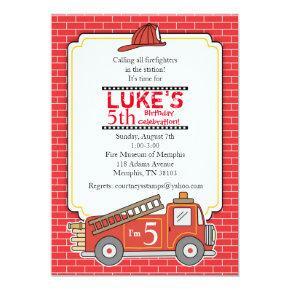 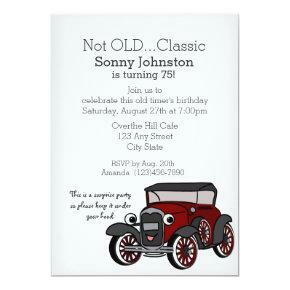 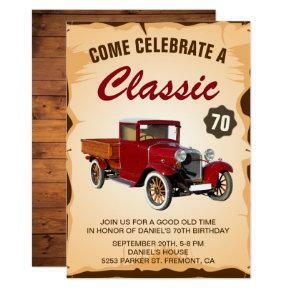 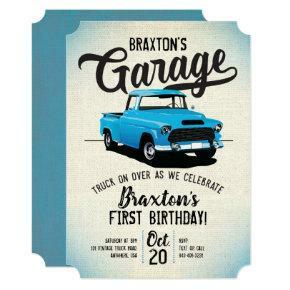 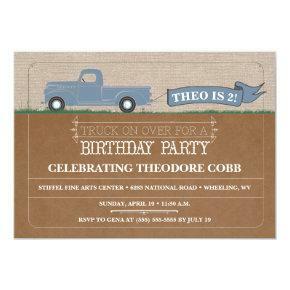 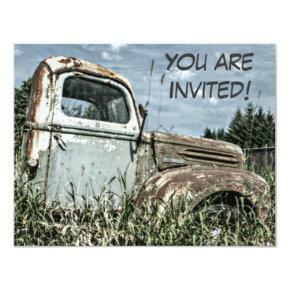 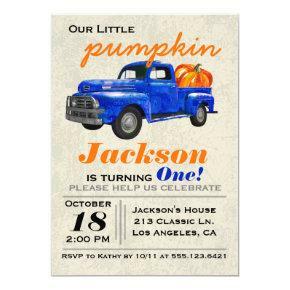 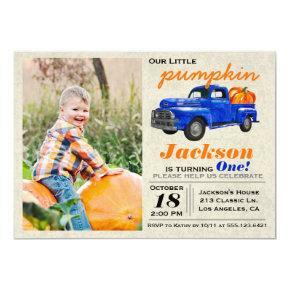 Invite your guests with this vintage birthday party invite featuring a beautiful vintage truck and retro typography against a parchment background. 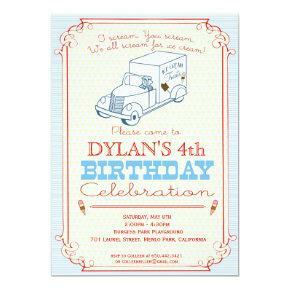 Simply add your event details on this easy-to-use template to make it a one-of-a-kind invitation. 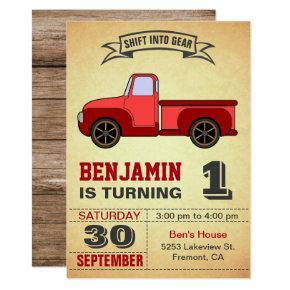 Flip the card over to reveal a rustic barn wood texture on the back of the card.